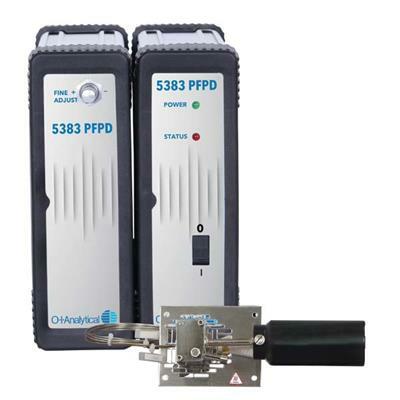 The Model 5383 Pulsed Flame Photometric Detector (PFPD) uses superior sensitivity and increased selectivity to easily and accurately analyze sulfur, phosphorus, and 26 other elements. 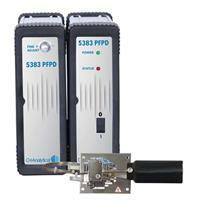 The superior sensitivity of the 5383 PFPD makes it the instrument of choice for the analysis of sulfur, phosphorus, and other elements. Its linear, equimolar response to sulfur allows selective measurement of individual sulfur species from low ppb to ppm levels, and total sulfur as the sum of individual peaks. The unique capability to obtain simultaneous sulfur and hydrocarbon chromatograms from a single PFPD detector sets it apart from other sulfur detection technologies. Widely used in laboratory and process gas chromatographs to analyze sulfur species and total sulfur levels in liquid-phase petrochemicals, you will also find the Model 5383 hard at work analyzing organophosphorus pesticides, pharmaceuticals, flavor and fragrances, beverage-grade CO2, chemical warfare agents, and more. Sulfur Quadratic in response. Linear to approximately 2.4 orders of magnitude. Detector (nonlinear) dynamic range ~3 orders of magnitude. Phosphorus First order linear over approximately 5 orders of magnitude.